Click to view our downloadable 2017 UC rankings (PDF). Whether measuring academic excellence, affordability, or contribution to the public good, the University of California stacks up as among the best in the world. That’s the takeaway from a slew of national and international rankings, published over the course of 2017, that reaffirm UC’s position as a global leader in higher education. Every year, various news outlets take their best shot at assessing which colleges and universities are the world’s best. These lists, timed to coincide with college application season, vary widely in what is measured. Yet one area where there is remarkable overlap is the picture that emerges of the UC system as a research powerhouse that prepares economically diverse students to effect positive change in the world around them. See below for a recap of 2017’s college rankings, or download a summary of them here. UC attracts some of the best minds in the world to its renowned faculty, and they in turn are advancing their fields of study through influential publications, research citations and grant funding awards. Times Higher Education ranked eight UCs among its “elite group” in its World University Rankings with UCLA and UC Berkeley being named the top two American public universities. The Academic Ranking of World Universities, a global survey of 1,300 institutions by Shanghai Jiao-Tong University, heavily weighs Nobel and Fields Prize winners as well as highly-cited faculty research papers and publications. Four UCs (Berkeley, UCLA, San Diego and San Francisco) made its cut for the top 25. U.S. News and World Report’s “America’s Best Colleges” gave high marks to all nine UC undergraduate campuses. The rankings, which focus on academic reputation, financial resources and selectivity in admission, listed five UC campuses among the top 10 public universities in the country — and all nine were included in its public top 100. British company Quacquarelli Symonds’ World University Rankings also rated three UCs (UC Berkeley, UCLA and UC San Diego) among its top 50 in an assessment driven by the number of research citations. According to The New York Times College Access Index, it’s UC Irvine, UC Santa Barbara, UC Davis, UC San Diego and UCLA (in that order). The New York Times based its results on the number of lower- and middle-income students each institution enrolls, and the cost of attendance. They specifically factor in the number of freshmen with Pell Grants and the graduation rate for Pell recipients. Forbes’ evaluation corroborated the idea that UC is one of America’s best college deals, with six campuses among its top 25 for value, with UC Berkeley at No. 1 and UCLA at No. 2. Washington Monthly, which primarily ranks schools based on their public impact (see below), also evaluated schools by social mobility, a metric that includes success in recruiting and graduating low-income and first-generation students, median earnings after graduation and student loan repayment rates. UC fared particularly well in this category, with five schools in the top 20: UC Merced was fifth; UC Davis, eighth; UC Irvine, 16th; UCLA, 19th; and UC San Diego, 20th. UC is no slacker when it comes to public service, either. Three UC campuses (UCLA, Santa Barbara and Davis) made the top 20 on the Peace Corps’ annual list of Top Volunteer-Producing Colleges and Universities (and the lifetime leader in producing volunteers? UC Berkeley). The Washington Monthly College Guide and Rankings, presented by the magazine as an alternative to prestige-focused publications, sorts schools based on what they are doing for the country, from social mobility to research and public service (including community service, such as ROTC and Peace Corps participation). It placed six UCs out of 1,404 colleges and universities in its top 25, including UC San Diego, UC Davis, UC Berkeley, UC Irvine and UC Riverside. The Sierra Club also considers public impact — especially in terms of addressing climate change and furthering research and innovation toward a greener world. 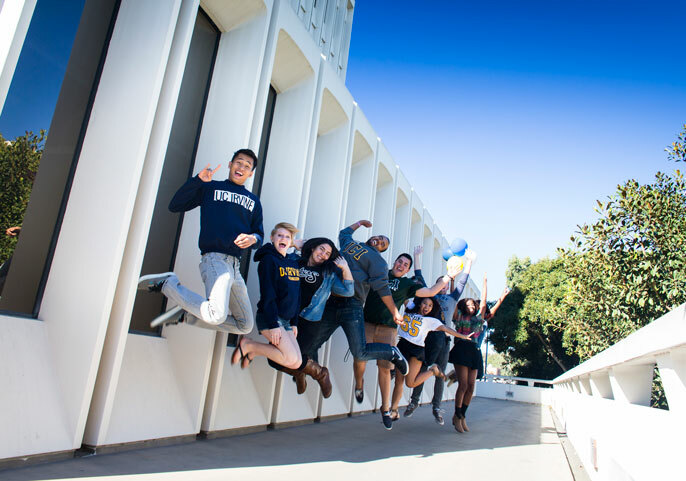 Seven UCs were among its top 50, with UC Irvine ranked in the top 10 for the eighth consecutive year, an achievement unmatched by any other school in the country. UC Santa Cruz was the second-highest ranked UC, with UC Merced coming in at No. 50 on the list, a meteoric rise for the young campus on track to meet its ambitious Triple Zero Commitment — to consume zero net energy and produce zero waste and zero net greenhouse gas emissions by 2020.